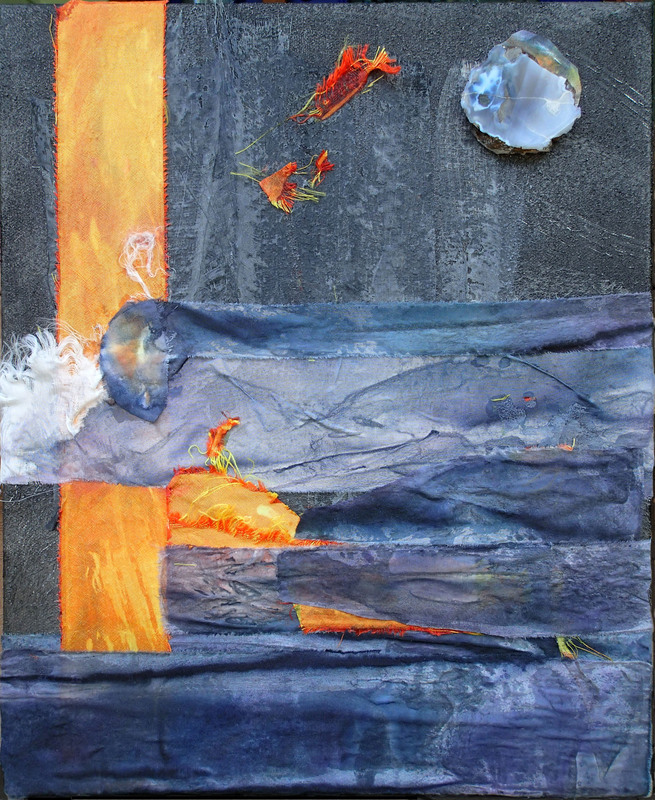 Three members of SDA/WA—Deena Heg, Margaret C. Wheeler and Gay Jensen—are participating in the Northwest Collage Society Summer Juried Exhibit that runs from July 10- September 28, at the Rosehill Community Center Art Gallery, 304 Lincoln Avenue in Mukilteo, WA. The Opening reception will be on Thursday July 10 at 7 pm. 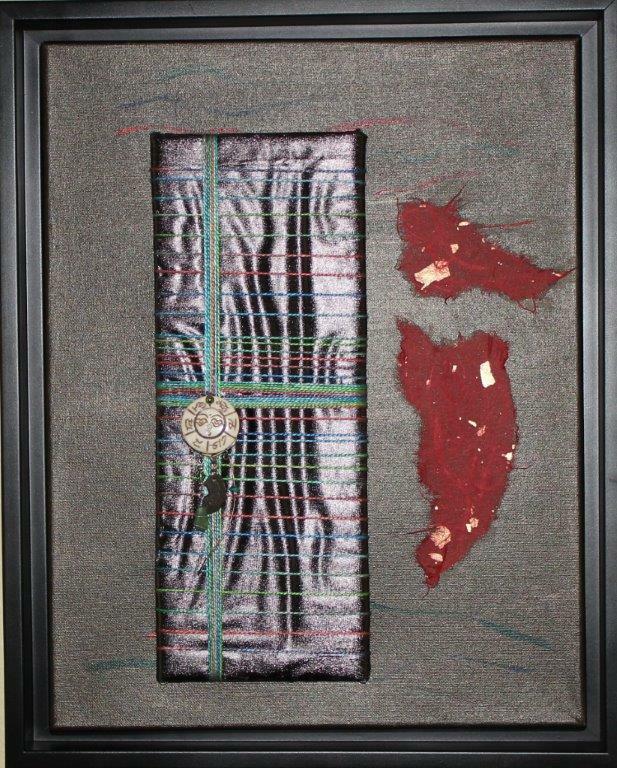 Deena Heg’s artwork titled “How Land Is Born “combines handpainted silk, discharged silk and acrylic paint. 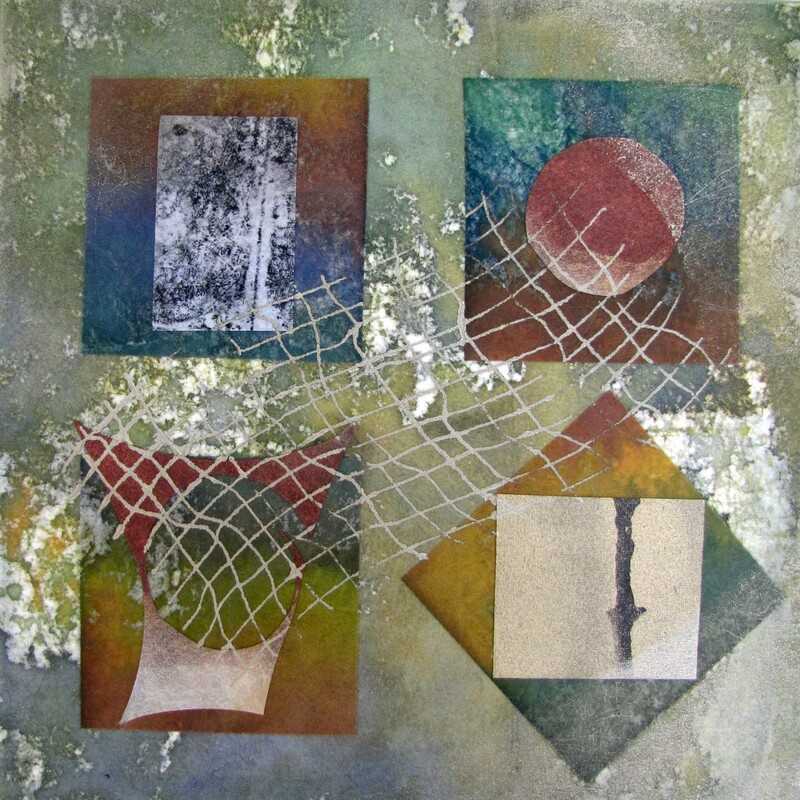 Yarn wrapping creates an unusual and delightful focal point in Margaret Wheeler’s piece titled “Bound #2”. Gay Jensen has two pieces in the show, both are collages featuring Lutradur® and cotton canvas painted with acrylics, her piece titled “Network” also includes thermofax printing. This entry was posted in Exhibition, Member Event and tagged Deena Heg, Gay Jensen, Margaret Wheeler.